It’s a hard thing to commit to playing bench minutes and roles in the nba, often bench players can get overlooked and with the growing nature of stars playing with other stars, sometimes bench players can get lost in the shuffle. Now imagine a bench player that is only in his 3rd year and second real full year of NBA action, all while trying to ship the second unit point guard position. Delon Wright has had the chance and opportunity to give it a shot, and so far this year he has led a young and energetic bench unit that seems dedicated to engineer the new offense style the Raptors have implored. Delon has become one of the more trusted and maturing young guns, that the Raptors have been able to put out there in tough situations. Not only is Delon transiting so well as a leader off the bench for the Raptors, but he can play with starters in big minutes and be very effective. In small sample sizes the lineup of Kyle Lowry, Miles, Demar, Pertl and Delon Wright, have given the Raps one of their more effective and efficient offensive weapons sitting at 66% FG percentage second only to the starting lineup. Delon can play the point guard and can run with the bench unit, or run as a shooting guard/second point guard with either Lowry or Fred VanVleet. It shows to his maturity and growth that he can play either the 1 or 2 and not have it affect how he plays his game. The Raptors starting point guard spot is set for now with Kyle Lowry filling that spot for the next 3 years, but it will have to be given up eventually, and the Raptors and Masai Ujiri have done a masterful job in drafting and developing guards of the future like Delon Wright and Fred VanVleet, and putting them out there with both the starters and giving them the keys to lead the bench offense to help carry the load. The Raptors drafted Delon Wright 20th overall in the first round, and Masai got someone special. It would take work though, and thanks to the talent pool of the new and rising Raptors 905 D League G League organization that gave Delon chance to grow and mature his game so that when he did come to the NBA, he wouldn’t show as much hesitation or nerves then if he just came to the league right out of the draft. We don’t know if Delon will be an All-Star or a go to guy late in games, but how he is playing now and his constant will to get better and develop under the bright lights, leads to a maybe, a hope in that he will turn into something the Raptors and management can be proud that they invested so much time in. Masai Ujiri has done a golden gem of a job in developing while still being competitive, he knows time is always undefeated and he wants to make sure the most important roles, that will eventually be vacant and will need to be filled, are filled with talented players and players that have developed under the system for years and can mold without much trouble. 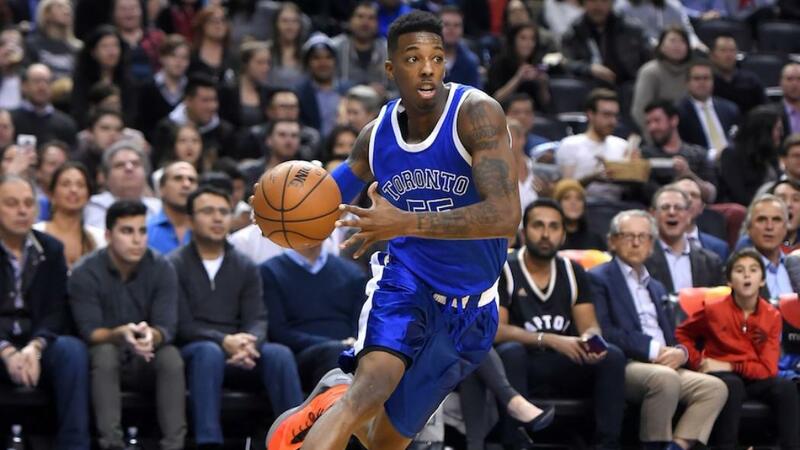 I’m excited to see what Delon Wright has to bring this season. especially under a new ball movement and three offense that the Raptors have endorsed. But if the early and positive signs are to be seen later on in the season, then the future is bright for Wright.